Martin Campbell and Patrick MacHugh warmed up for the Scottish National Championships by retaining their men's doubles title at the Iceland International without dropping a game. The top seeds, who are number two seeds in Perth next weekend, beat Denmark's Frederik Aalestrup and Kasper Dinesen 21-16 21-17 in Reykjavik on Sunday. Josh Neil and Ben Torrance reached the quarter-finals of the men's doubles. Caitlin Pringle and Rebekka Findlay lost early on in the women's doubles. The top seeds, who will be number two seeds at the Nationals, suffered an upset in the second round when they lost to Denmark's Emilie Juul Moller and Cecilie Sentow 21-14 22-20. 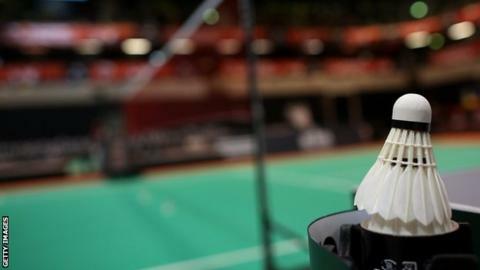 Edinburgh's Campbell and Glasgow's MacHugh started their men's doubles title defence with a bye. In their last-16 match they beat Iceland's Palmi Gudfinnsson and Robert Ingi Huldarsson 21-10 21-17. In the quarter-finals they toppled Denmark's Philip Seerup and Mikkel Stoffersen 21-14 21-12 and beat another Danish pair in fourth seeds Alexander Bond and Joel Eipe 21-19 21-8 in the semi-finals. Neil and Torrance made up for failing to advance into the main singles draw from the qualifying rounds by beating Iceland's Daniel Johannesson and Einar Oskarsson 21-12 21-15 before falling to Denmark's Nicklas Mathiasen and Lasse Moelhede 21-7 21-12 in the last eight. Findlay fared much better with MacHugh in the mixed doubles where they lived up to their number three seeding by reaching the semi-finals before falling 21-14 22-20 to Danish pair Lasse Moelhede and Trina Villadsen. The pair, who will be looking to take that form into the Scottish National Championships, where they are unseeded, had to work hard to reach the last four. First they defeated Denmark's Jeppe Ludvigsen and Iceland's Tinna Helgadottir 30-28 21-17 then had to survive a three-game battle with Iceland's Daniel Thomsen and Margret Johannsdottir 24-22 15-21 21-9.